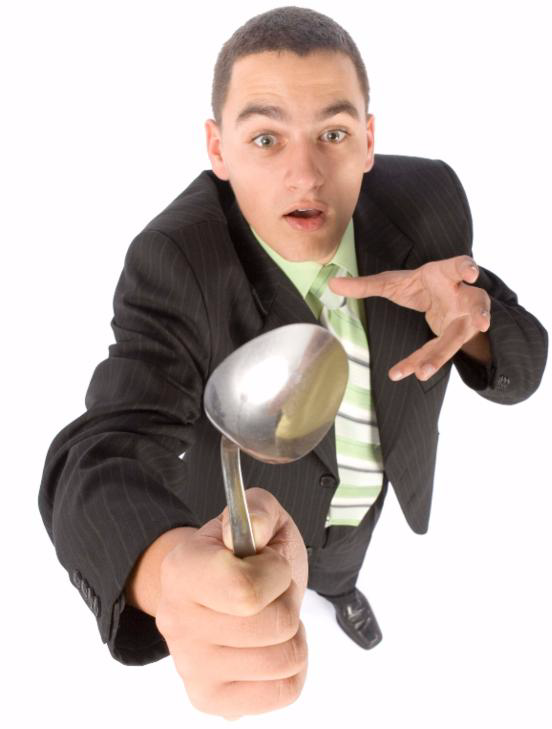 Have you ever seen someone who moved objects with their mind, or bent a spoon by merely concentrating on it? Telekinesis, as defined by Webster, is the power to move an object by psychic force alone. Mind over matter. The idea of telekinesis has fascinated humans for millennia, including this human. Like me, you probably have a healthy level of skepticism about such claims. But what would you say if I said you are capable of telekinesis? If you have ever done any physical training, you know that your body constantly sends messages to your brain that it’s ready to shut down. When that first dissenting word from your leg muscles hit your brain did you obey, or did you send back a message that those muscles would just have to tough it out? Sometimes one side of your brain, the side focused on your goal, has to have a word with the other side, the one that is a close friend with comfort. At some time in our lives, most of us ran, jumped, cycled, lifted, swam, etc., at performance levels beyond which seemed possible to us in the early stages of training.We learned that building strength and endurance requires our body’s comfort to become subordinate to attaining a goal we had set. What is that if not mind over matter? As small business owners, we perform a kind of entrepreneurial telekinesis every day. We accomplish things that marketplace pedestrians would say are impossible. And if you think I’m using the term telekinesis too loosely, what else would you call it when a small business owner defies the marketplace, the competition, and conventional thought by not only surviving, but actually thriving? Your entrepreneurial mind has the potential to defy the odds, the gravity of the marketplace, and matter, as we know it. Will is an intangible force created by another intangible, desire. As you desire to move your business forward, whenever the matter is weak, you compensate with will. Mind over matter. But don’t try this on spoons. Celebrating my 12th consecutive Small Business Week in D.C. Here I am, in Washington, D.C., at my 12th consecutive celebration of National Small Business Week. 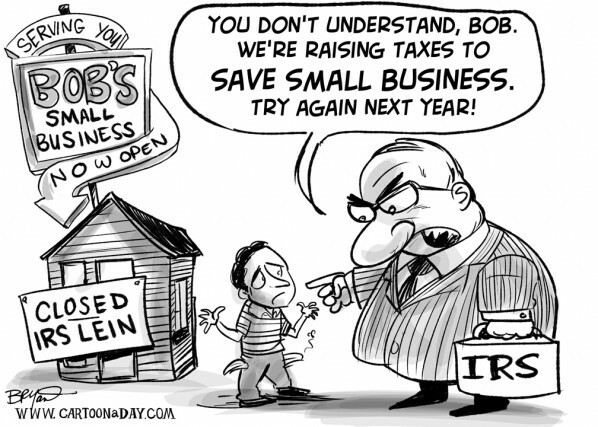 Since 1998, I’ve been supporting the U.S. Small Business Administration as America honors its small businesses. Each year, like this one, the recognition includes over 50 small business champions from across the country. Karen Mills, the new SBA Administrator, is my fourth one to work with, going back to Aida Alvarez, with the Clinton administration; and as I write, Ms. Mills is delivering her keynote speech at the SBW celebration. Among her first comments was to announce the American Recovery Capital (ARC) program that is a new loan program for viable businesses that need some short-term capital assistance during this recession. ARC is designed to guarantee 100% of a loan made by a local lender, like a bank or credit union, to a qualified small business. The loan amount is up to $35,000, there are no fees, no interest or payments for 12 months and up to 60 months to repay, plus a few other details. I think this is a great program - and much needed - but my concern is one that I’ve had for a long time: Not enough small business owners know about the SBA, what it does, how to access SBA resources, or how to coordinate the small business’ requirements, its bank and the SBA. Alas, the greatest program in the world won’t succeed if it isn’t widely distributed. One of the challenges Administrator Mills faces is getting the SBA airing in prime time on Main Street. The Administrator also talked about health care reform. As you may know, I do not support more government involvement in the health care industry. We need more market-based solutions and less government. I look forward to an honest debate on this issue with Administrator Mills over the next few months on the radio. Speaking of which, earlier today I talked about Small Business Week on my small business radio program, The Small Business Advocate Show. Take a few minutes to listen to my thoughts and, of course, leave your own comments.